After a winter of refurbishments, Aira Force team room is finally open again and back under the management of the National Trust. There has been a team room at Aira Force in some form or another for at least 65 years (possibly even longer). This picture was taken in the 1960’s. There have been quite a few changes since those days. Although the wooden structure has gone, the main part of the building is still standing, with a new stone extension (added around the 1970’s). 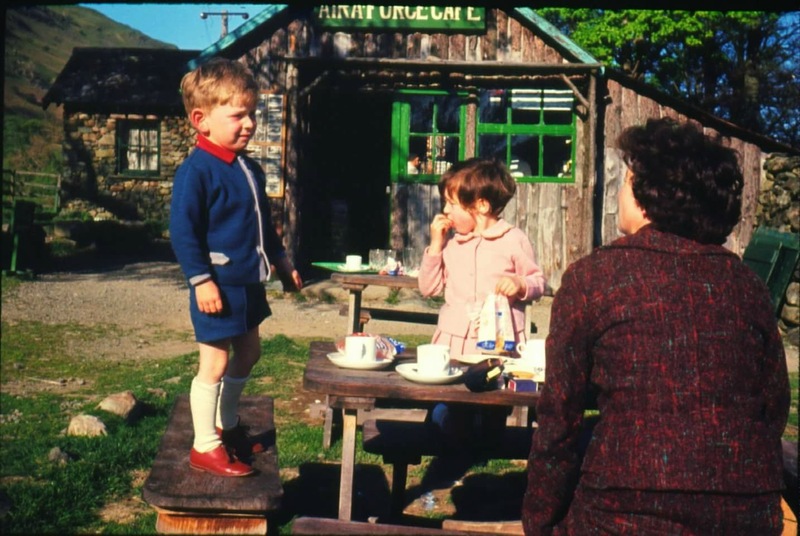 The tea room has been owned by the National Trust ever since Aira Force was acquired, but it has been let out to various different tenants throughout the years. It was decided last year that it was about time this beautifully positioned building with fantastic views of Lake Ullswater came back in hand, and be run by the National Trust. The inside and outside of the building had seen better days. 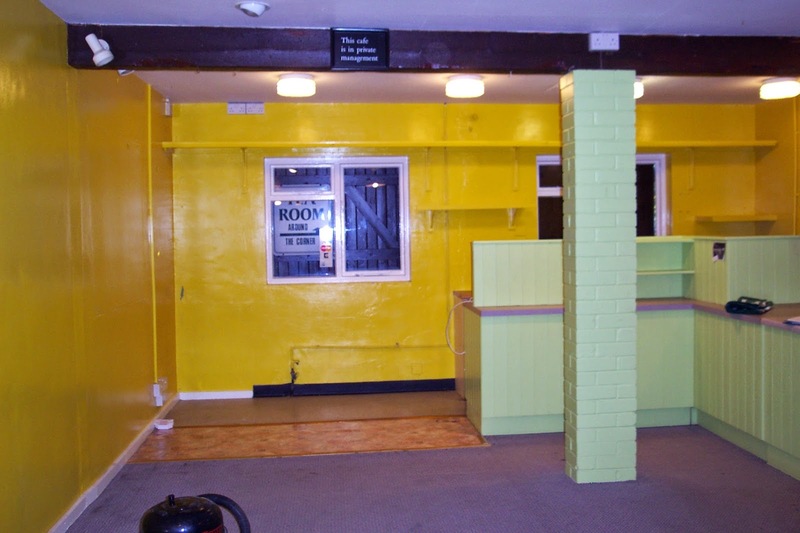 A complete refurbishment was needed, work started in late 2014 with the complete gutting of the inside. As with any refurbishment there are always problems arising that hadn't been planned for. However with such a fantastic team every one knuckled down and helped out to get all the finishing touches completed on time. A vast improvement, I think you will agree? The team room is now open 7 days a week, 10:30am-16:30pm. Please drop in to see the improvements for yourself. By late spring Ullswater Steamers will have also built a pier on Aira Green, only a few hundred yards from the Tea Room. 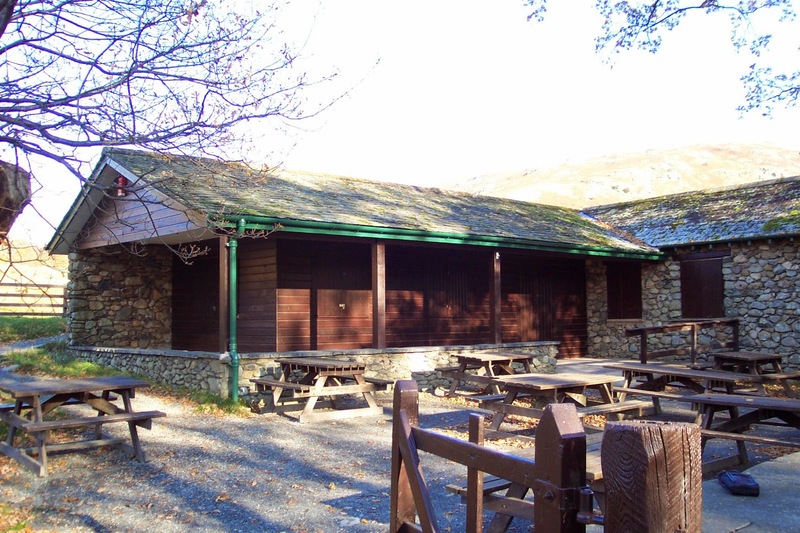 This will mean that visitors can hop on a steamer at Glenridding, have a lovely stroll around Aira Force, then enjoy the delights of the Tea room, before heading back to Glenridding along the new Lake side path. What better way to spend a spring afternoon! Millerground Enhancement Group. Path improvements on Queen Adelaide's Hill. Queen Adelaide's Hill is situated to the east of Windermere, above Millerground, with magnificent views over the lake's widest point. It is a large drumlin, a rounded, elongated hill formed from an accumulation of glacial debris, with gravel making up a large proportion of the heterogeneous mix of glacial till. View of Fairfield and Loughrigg to the north. View of Belle Isle and Claife looking south. The Queen Adelaide's Hill path on its eastern flank was in need of attention; it had become very slippery. The Millerground Enhancement Group decided to make the route to and from the top of Queen Adelaide's Hill safer. Cutting back the turf and exposing the drumlin's gravel gives a much grippier surface on the steep slope. Members of the Windermere and Bowness Civic Society, students from Windermere School, and National Trust rangers working together on the path. Completed section of path near the top of the hill. Many hands make light work. A great deal was achieved in under two hours. This post will be updated when more path and landscape work has been completed. Sunset over Wetherlam and The Langdale Pikes, after a beautiful day in February, viewed from the east of Windermere.